Scroll through any major publication that discusses ways to get in shape and almost all of them will use the term weight loss. However is this term technically correct and should we be fixated on this weight loss goal of ours? There is another group of practitioners who believe it’s all about the fat loss and weight shouldn’t come into it…so who is correct and should we be fixated on this weight loss goal of ours? To know for sure we need to discuss what the main differences are. Weight loss describes the total amount of weight mass lost throughout the body whether that loss is from fat, muscle or even dehydration. Many people have a goal body weight they aspire to, but is it really the holy grail when it comes to good health? The Biggest Loser – one of the most successful reality TV shows that revolves around obese people attempting to lose fat and get healthy. Still they focus on the overall “weight loss” number when really the focus should be on their “fat loss” throughout the week. Even the BMI (Body Mass Index) which is based on an average body type person only takes into account that person’s overall weight and height. It has some serious limitations, for example if I were to rely on my BMI, I would need to be less than 72kg (159lbs) to be within the normal weight range. Even at 74kg (163lbs) I would be classed as overweight. This is a very unlikely target for me especially given that at my last DEXA scan by measure up, my fat free mass alone was 73.8kg. 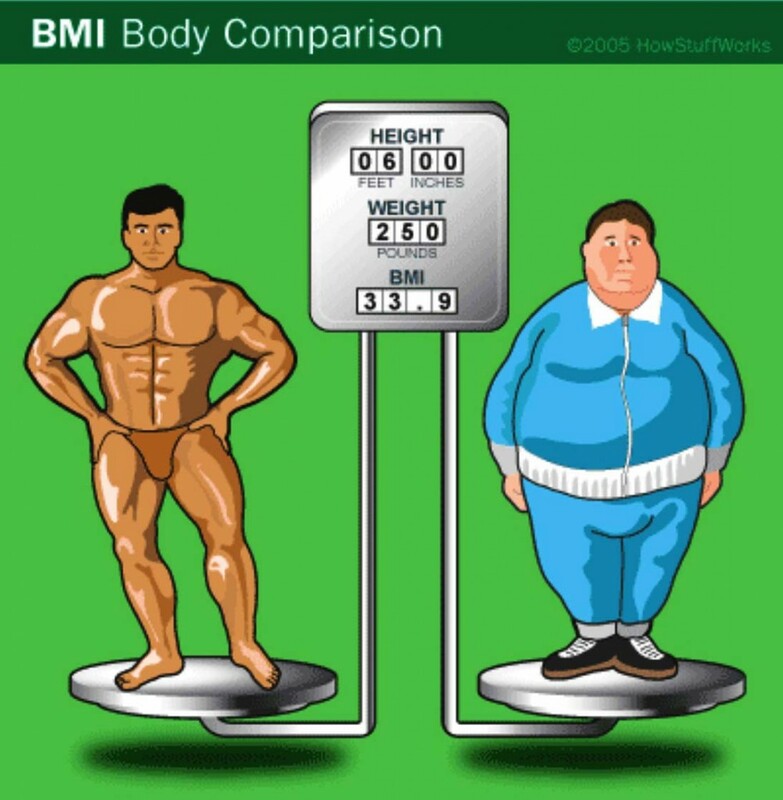 This cartoon highlights the BMI flaw quite well. So why does everyone use the term WEIGHT LOSS? When you begin a calorie restricted diet you will lose both fat AND muscle. This is a scientific fact – no matter how much extra protein you ingest, if you severely restrict your calories, your body must compensate and also reduce your muscle mass. The extra protein may slow the process down, but it will not stop it. For energy your body will cannibalise fat AND muscle to survive. In the Biggest Loser, when they refer to weight loss they are technically correct in using that specific term. They know that when you put an obese person, or any person for that matter, on a 1200 calorie a day diet and then ask them to burn another 1200 calories in exercise every day, that person will lose not only body fat but muscle mass too. 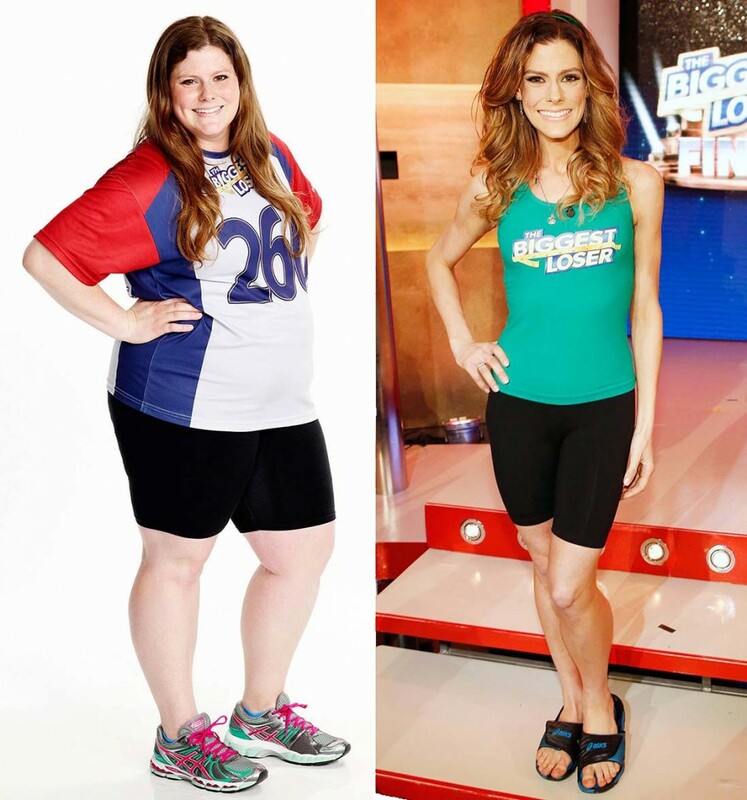 Rachel Frederickson’s weight loss has been criticised,with some believing she went too far in her quest to win the Biggest Loser 2014. Not only did she lose fat but much of her muscle mass too, lowering her all important BMR in the process. Have you ever heard a friend say “wow I’ve just lost 2kg (4.4lbs) over the weekend on my new diet”? It’s highly likely they have actually simply dehydrated themselves as opposed to having lost that amount in fat, but technically speaking, they have had a weight loss event. The technique of dehydrating yourself before jumping on the scales in the Biggest Loser is said to be rampant as attested to by many former contestants. Fat loss describes the total amount of fat lost within the body and is usually reflected as a percentage of total mass. For instance my current fat mass is 20.4%, a little high for my liking, but I’m going through a bulking-up phase at the moment. It is this body fat percentage as explained by Shape Up America that is of importance and not my actual total body weight when it comes to my overall health. 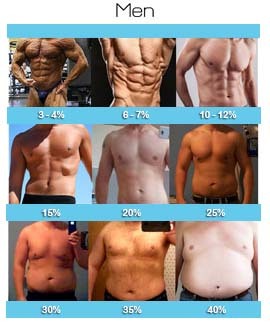 The goal is to reduce your body fat percentage and keep your muscle mass the same (where possible). This is an example of using a fat loss system over a weight loss system. I could even increase my total body weight while reducing my total fat mass. This happens when you increase your muscle mass more than the reduction of your body fat, as I found out at one of my scans and discuss in detail in – not what I wanted to hear at my DEXA scan, or was it? A clinical trial published in The American Journal of Clinical Nutrition shows that a healthy body fat percentage for women ranges from 21% to 33% up to the age of 39 and increases slightly from there as you age. Shape Up America claim that women with a fat percentage of 21%-33% are within a healthy range and this increases slightly the older you get. For men the healthy body fat percentage ranges from 8% to 19% up to the age of 39 and also increases slightly from there the older you get. Shape Up America claim that Men with a fat percentage of 8%-19% are within a healthy range and this increases slightly the older you get. Female athletes can get considerably lower, all the way down to 11%-13% body fat, but it is not recommended that they go much lower than that. 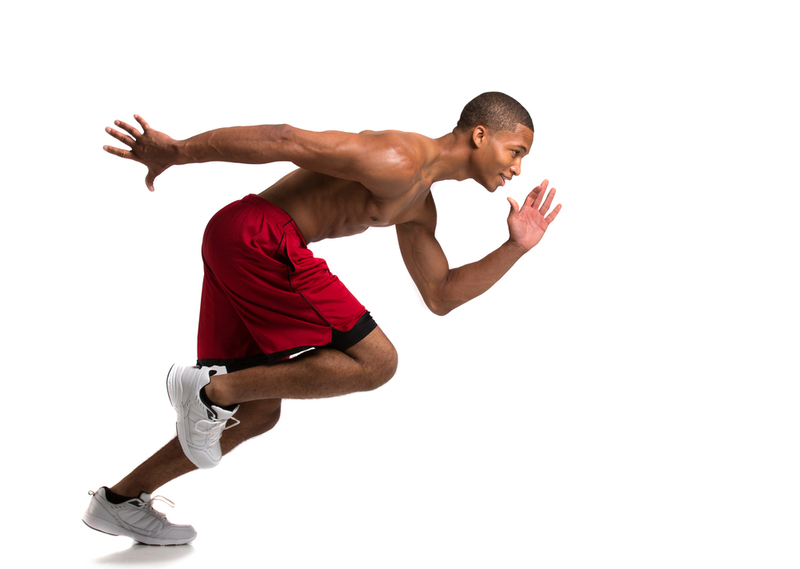 Male athletes can get all the way down to an astonishing 5% body fat. Floyd Mayweather is weighing in before a fight with with Robert Guerrero. Both men have slimmed down before the weigh in and over the next 24 hours will rehydrate and carbo load for the fight. It’s not uncommon for fighters to put on 1kg-2kg (2.2lbs-4.4lbs) after they weigh in. 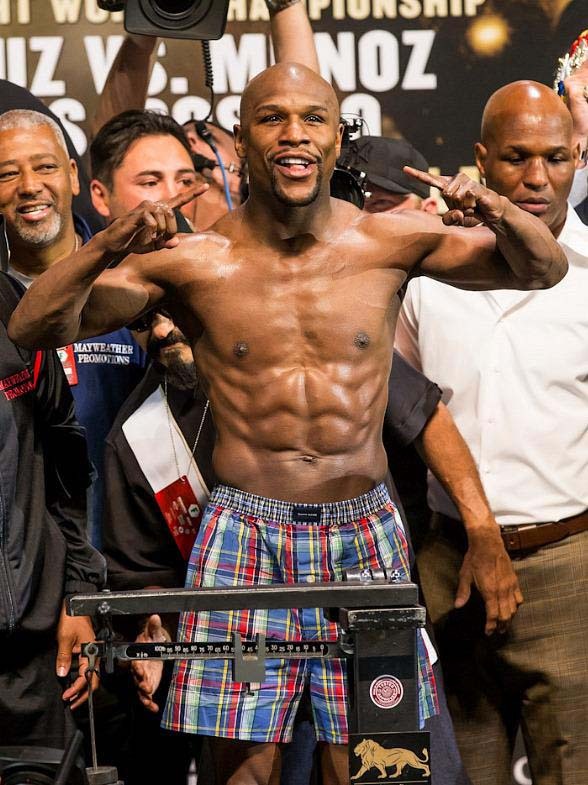 When athletes discuss their body composition, they discuss it in these terms and almost never look at the actual body weight alone, unless of course their sport requires a certain body weight limit, for example when boxers weigh in before a fight. One of the biggest consumers of calories in the human body is muscle mass. The more muscle you have the more calories you expend when at rest. So when you go on very low calorie diet you are also destroying valuable muscle mass and reducing your basal metabolic rate also known as your BMR. The single biggest consumer of calories in our bodies are our muscles. The more we have the more calories our body consumes. 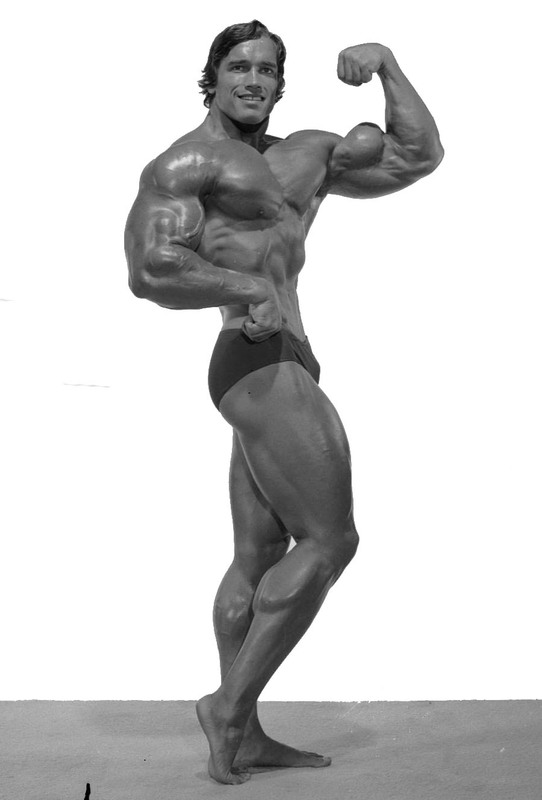 You don’t have to be as big as Arnold, however everyone should be at least thinking of how to conserve and if not increase it a little. Let’s take a look at these two examples – Jane wants to lose around 20kg (44lbs). Her BMR is currently at 1800 calories. Which means if she did minimal activity during the day, her body would consume that amount of calories – yes, your body actually consumes calories whether you exercise or not. Jane decides that she will reduce her calorie intake to 1200 a day and will also throw in a 30min run that would consume an extra 400 calories a day. That leaves her body with only 800 calories to play with and it now needs to make up the rest by consuming fat AND muscle mass. Jane achieves her goal of losing 20kg (44lbs) of body weight however 7kg (15lbs) of that weight loss was actually muscle mass (this is an example figure only and will vary for each person). This means that her BMR is now lower and sitting at around 1710 calories a day, almost a full 100 calories less than her starting BMR. Jane has lost her weight fairly quickly but has also reduced her muscle mass (the biggest consumer of calories in the body). Her BMR has been reduced considerably because of this and now she faces the prospect of gaining weight at a much quicker rate should she indulge at all. When Jane starts eating normally and reducing her exercise she is in a position to potentially gain back the weight at a much quicker rate due to her lower BMR. Bob on the other hand is using the fat loss system. He only slightly reduces his calorie intake and increases the amount of protein in his diet to counter the muscle atrophy that may take place. His goal is to reduce his current body fat percentage from 23% down to 13% while at the same time increasing his lean body mass. Bob’s BMR is 2000 calories and he’s decided to reduce that by only 200 calories a day. He is also incorporating some weight training and body fit classes into his routine consuming an extra 400 calories a day in exercise. Bob finds that it takes him a bit longer to lose the the body fat than he anticipated, but he has reached his goal of a body fat percentage of 13% by reducing his body fat as well as increasing his muscle mass. This in turn has increased his BMR to about 2100 calories. Bob has taken a little longer to get to his goal weight because losing fat alone is a slower process. However he has also increased his BMR with some extra muscle mass. Bob can now indulge a little without over consuming calories. The result is that Bob’s newly acquired muscles are now allowing him to eat more than he could before, and in turn making it slightly more difficult to put on fat in the future. Many people believe losing 2-3kg (4.4-3.6lbs) of pure fat a week is a very achievable target, this however cannot be further from the truth and can only be achieved with weight loss which includes simultaneous muscle atrophy and fluid loss (more fluid loss than not). 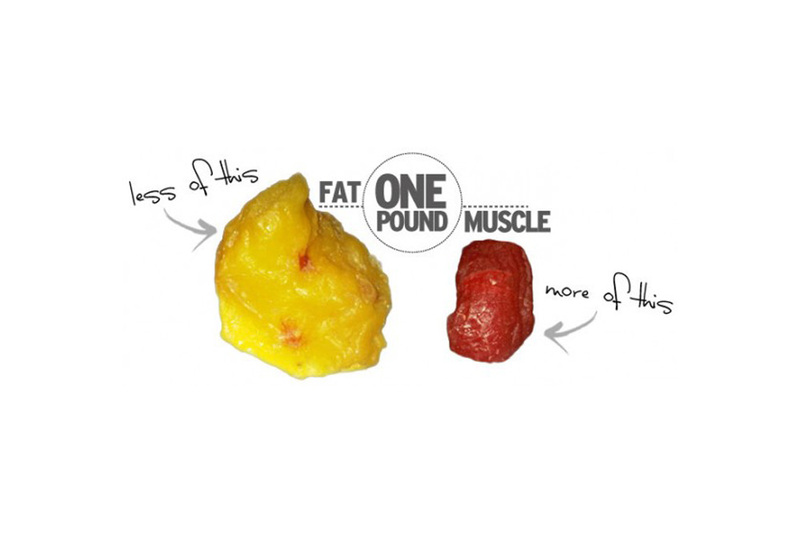 Fat has much more volume than muscle mass does. Both of these weigh the same however the fat takes up much more room in our bodies. What we need to remember is that Fat stores energy and Muscle consumes it. Generally speaking an achievable pure fat loss target would be between 200-600g (7-21oz) a week, if done correctly with minimal muscle and fluid loss. Therein lies the distortion of the facts, that people actually believe that losing 3-4kg a week is a very achievable target and better yet it’s all fat loss too and then we wonder why diets don’t work? These two examples highlight where some people get it wrong when trying to improve their health and fitness. Many people go for the extreme diets and weight loss, in the belief that it is all fat they are losing, when in actual fact they are just as likely to be losing fluid and muscle in addition to fat. This is a big reason why, among other factors, so many people put the weight and fat back on in such a short period of time after losing it. We recommend not only setting achievable and healthy fat loss goals, but being informed about how your body works and what you can do to maximise the results you are after. To better measure your fat loss goals take a look at these 4 easy ways to measure your fat loss. Targeting fat loss rather than simply weight loss, in our view, is the key to a healthier you.